How many phone interviews does it take to hire someone? Today’s phone interview experience has become a nightmare for candidates, hiring managers and recruiters alike. Why so many redundant phone conversations to get to the root of a candidate’s qualifications? Roles and job requirements are becoming increasingly specialized. It’s harder for the average recruiter to effectively screen beyond soft skills and “culture fit”. Beyond technical (programming/engineering) roles, even marketing, accounting and finance requisitions are becoming highly specific and specialized. Every conversation takes place in a vacuum. We go from rich, live conversations to scribbled interview notes… The notes we share contain bias and misinterpretation from the interviewer and simply do not capture the essence of a candidate. Why do we as recruiters insist on describing multi-dimensional candidates in 2D (resumes & scribbled notes). Hiring Managers know talent when THEY hear it. Decision makers in the hiring process each have a stake on who gets hired. Their reputation is based on who makes it through, which is why they need to hear a candidate for themselves. But does every member of the interview team need to ask questions? Or is it more important for a hiring team to hear unbiased answers (interview data) and spend actual time discussing with the group, whether or not the candidate is qualified. Systems of record versus systems of engagement. While we as recruiters spend a lot of talking about the tools we use to store resumes and manage our workflow, we have yet to shift from sharing interview opinions, to sharing actual interview data and insight. Doing so, will revolutionize our our profession and quickly build trust with our clients and hiring managers. 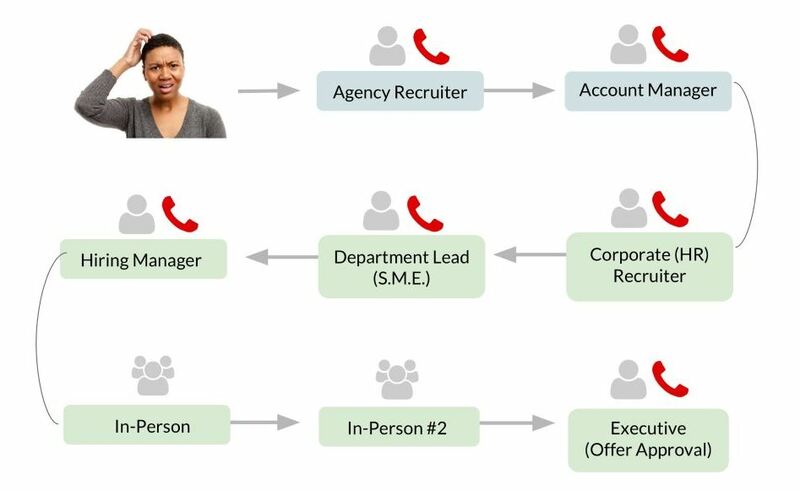 At Honeit.com, we are re-engineering the phone interview experience with conversational intelligence – for faster collaboration and higher quality hires. Prior to co-founding Honeit, Nick was the director of global recruiting at TubeMogul. In 26 months, he built and scaled the talent acquisition team through hyper-growth of 60 to 360 employees through IPO ($TUBE), while concurrently attending business school at UC Berkeley Haas. Prior to TubeMogul, Nick was the director of strategic staffing at MTV Networks (Viacom) in New York City, overseeing Global Digital Media and Interactive Technology recruitment. He has worked for two HR technology companies (Taleo, NextSource) and began his career as a technology headhunter. Nick received his MBA from the UC Berkeley Haas School of Business, and a BS in Applied Mathematics. Bring your candidate phone screens to the 21st Century with Honeit Digital Phone Interview Software. We make it easy to schedule, screen and submit candidates to Hiring Managers, to make better hires, faster. By sharing rich candidate data and live interview insights, we remove misinterpretation and bias and improve the interview experience for everyone involved. Start Your Free Trial today!